Sun You is a New York-based Korean contemporary artist known for her wall installations imbued with enigmatic beauty and emotional vulnerability. 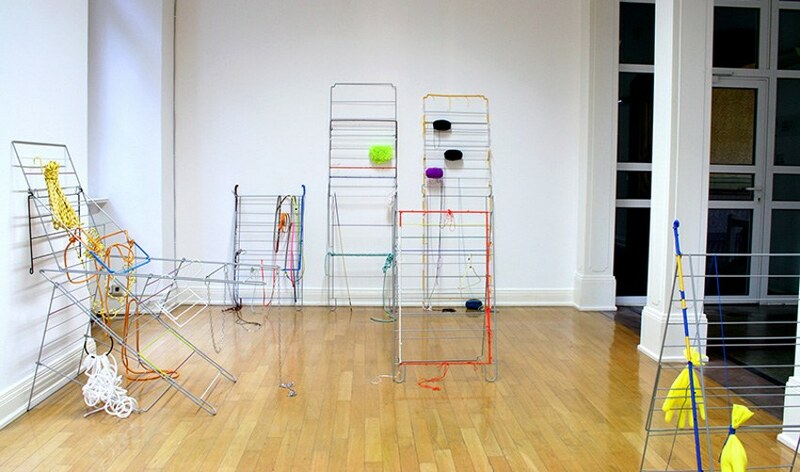 Her almost ephemeral yet irrevocably bound assemblages shows a skillful and highly creative use of color, space, shapes, and materials. Although they may look simple and randomly assembled at first sight, it turns out that they are not, and each of them is characterized by a high level of detail and complexity. 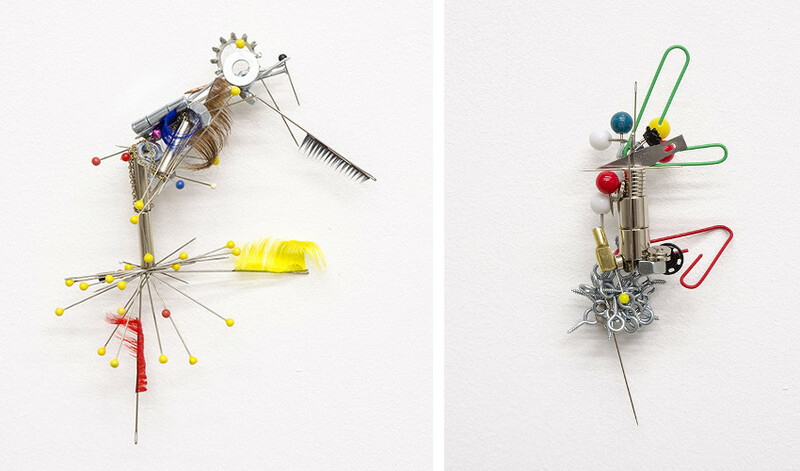 In her practice, You uses a combination of fashion accessories, industrial materials, delicate knick knacks such as paperclips and other multicolored household items to produce playful and seductive abstract installations that usually lean, hang or balance each other. 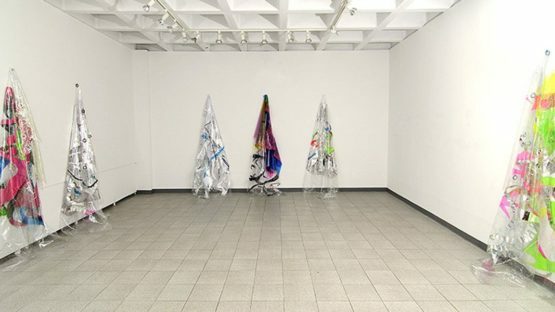 In one of her first series of work she utilized thread, vinyl, and Mylar to produce vivid plastic sheets that were either suspended from the ceiling or hung on walls. The New York-based artist fuses fine art and fashion or decorative art in a fluid celebration of color, ornament and gesture. Born in Seoul, Korea, Sun You obtained a Bachelor of Fine Arts in Studio Art from College for Creative Studies, Detroit, MI and a Master of Fine Arts in Painting from Wayne State University, Detroit, MI. 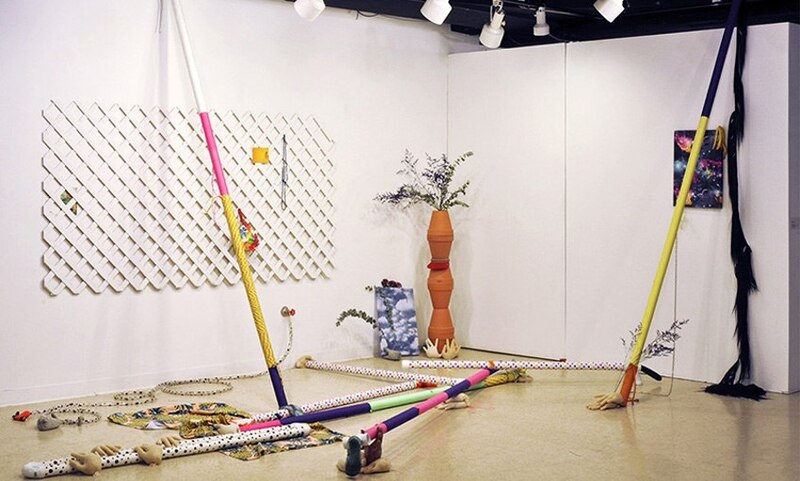 Her work has been included in individual and collective shows throughout the United States and beyond including Projekt722, Brooklyn, NY; Kunsthalle Mainz, Mainz, Germany; Queens Museum, Queens, NY; Jamaica Center for Arts and Learning, Jamaica, NY; The Gallery Korea, Korean Cultural Service New York, NY; Atlantic Center for Arts, New Smyrna Beach, FL; Hangaram Museum, Seoul Arts Center, Seoul, Korea; Gallery Satori, New York, NY; and Dragonfly Neo-V Gallery, Columbus, OH, among others. Sun You has taught at universities around the world including Ohio State University, Ohio and Kyoto Art University, Kyoto, Japan. She also heads President Clinton Projects, a curatorial project founded in 2012. Sun You lives and works in New York.